In 1989, Sody McCampbell Clements became aide to the chairman of the Oklahoma Corporation Commission and observed first-hand the long tradition of corruption at the agency. She is proud to have been part of the team that exposed it and set a high standard of transparency and fairness for the citizens of Oklahoma going forward. Clements currently serves as mayor of Nichols Hills, Oklahoma and chairman of the Municipal Authority of the City of Nichols Hills. She is also on several community boards and committees. 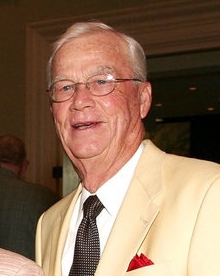 Clements attended Casady School in Oklahoma City, and Vanderbilt University, and earned a B.S. from the University of Central Oklahoma. 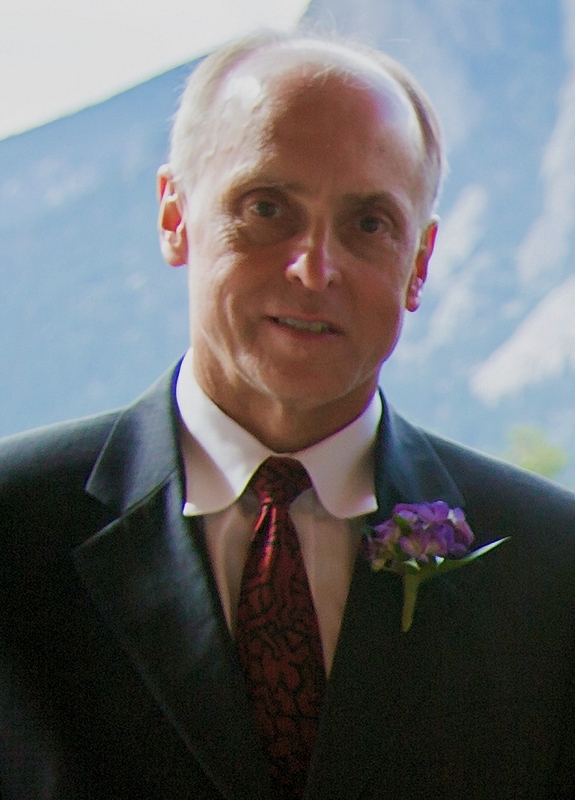 Clements' husband, Robert, is the executive vice-president of a family-owned and operated condiment manufacturer whose products are sold throughout North America, Europe and the Middle-East. The couple has two sons, Robert and William. Read Clements' Letter to the Editor of The Oklahoman (May 19, 2017). Clements was also interviewed for an article in the Oklahoma Gazette (Aug. 30, 2017). A firm believer in doing one's duty, prior to his retirement from the United States Air Force, Lt. General Richard A. Burpee was the commander of the 15th Air Force with responsibilities for one half of the forces in the Strategic Air Command. Previously, he served as the director of operations for the Joint Chiefs of Staff where he was responsible for directing U.S. military forces worldwide. He commanded the Oklahoma City Air Logistics Center at Tinker Air Force Base from 1983 to 1986, prior to which he acquired extensive operational experience as a pilot commander in fighter and bomber units, commanding the 509th Bomb Wing and 19th Air Division. Currently, General Burpee is the President of RAB Enterprises LLC, an aerospace consulting organization. In the civilian world, he has also been vice president of the University of Central Oklahoma and president of the Greater Oklahoma City Chamber of Commerce. General Burpee has chaired and served on the boards of several community organizations and non-profits. A graduate of the the national War College, Air Command and Staff College, and Squadron Officer School, General Burpee also holds degrees from the University of Omaha (B.A. ), George Washington University (M.P.A. ), and the Advanced Management Program for Executives at the University of Pittsburgh. 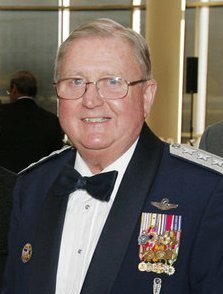 General Burpee flew 336 combat missions in the F-4 aircraft in Vietnam and was awarded the Defense Distinguished Service Medal, Air Force Distinguished Service Medal with cluster, Silver Star, Legion of Merit, Distinguished Flying Cross with one cluster, a Bronze Star and Air Medal with 14 oak clusters. Read General Burpee's Op-Ed in The Oklahoma Observer (Jan. 2018). Read General Burpee's Op-Ed in The Oklahoman (Nov. 13, 2015). As the Special Agent-in-Charge of the F.B.I. 's Oklahoma City Field Office, Bob Ricks was intimately involved in the investigation of the bribery and corruption at the Oklahoma Corporation Commission. He was also the F.B.I. 's initial Incident Commander at the Oklahoma City bombing in 1995. During a 47-year law enforcement career, including 26 years with the F.B.I. and Drug Enforcement Administration, Ricks also served as the F.B.I. 's Deputy Assistant Director, responsible for all F.B.I. investigations of domestic and international terrorists, as Oklahoma's Commissioner of Public Safety, as director of the state's Office of Homeland Security, and as the police chief of Edmond, Oklahoma. He is currently the interim director of the Oklahoma State Bureau of Investigation. Before joining law enforcement, Ricks earned degrees from Baylor University and Baylor Law School where he was also an editor for The Baylor Law Review. While serving as the director of the Oklahoma Corporation Commission's Public Utility Division from 1990 to 1993, James Proctor witnessed first-hand the consequences of the corruption at the state's most economically powerful state agency. Through preparing testimony, legal briefs, findings, conclusions, and proposed orders and advising the Commissioners in their deliberative process, Proctor was intimately involved with the procedural and regulatory details of both the bribed AT&T rate case (PUD 260) and its companion case (PUD 662). In addition to being an applicant, Proctor also serves as an expert witness for the applicants in the AT&T bribery refund case. Proctor's thirty-five years of experience in utility regulation matters includes regulating public utility companies for the state utility commissions of both Oklahoma and Kansas, and work as a regulatory consultant to state regulatory agencies and regulated utilities across North America. Currently a resident of Kansas, Proctor holds a B.B.A. from Washburn University and an M.B.A. from the University of Kansas. Oklahoma horticulturalist and business owner Rodd Moesel has been actively working for good government and honest political candidates since the Nixon Administration. With his wife, Dona, Moesel owns and operates American Plant Products and Services which sells greenhouse structures, equipment, and supplies, as well as nursery, garden center, and landscaper supplies. Moesel currently serves as president of the Oklahoma Farm Bureau and has held top leadership roles for dozens of other industry boards and community organizations. 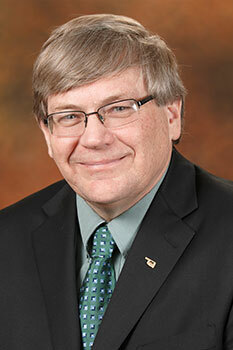 He also is one of two Oklahoma representatives on the National Council of Agricultural Research, Extension and Teaching. Moesel attended Northwest Classen High School in Oklahoma City and Oklahoma State University. He is also a graduate of the Oklahoma Agriculture Leadership Program, Leadership Oklahoma City and Leadership Oklahoma. 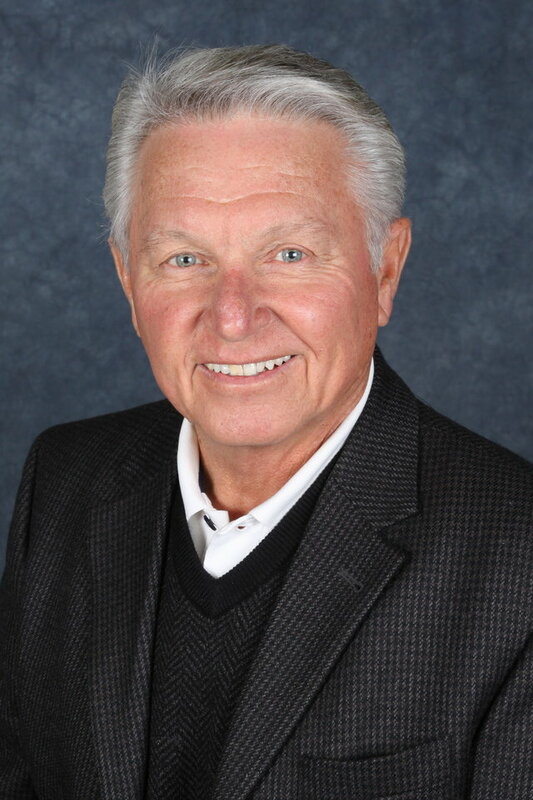 Independent oil man and philanthropist Ray Potts believes education is critical, parents are the first teachers, and everyone should lead by example – especially our public servants and elected officials. A geologist and attorney, Potts runs Potts Exploration LLC with his son Mark. He and his wife Pat are also active philanthropists, supporting early childhood initiatives and nonprofit capacity building throughout Oklahoma. 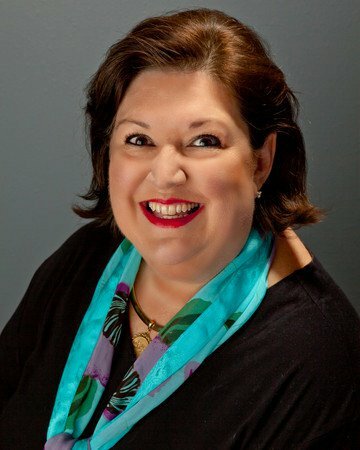 Potts has led numerous civic and professional organizations, including the Oklahoma Independent Petroleum Association and the Economic Club of Oklahoma. A graduate of the University of Missouri (B.A., M.A.) and Oklahoma City University (J.D. ), Potts also served three years in the United States Air Force, piloting a B-36 in the Strategic Air Command. When Southwestern Bell attorney Bill Anderson, the same attorney who bribed Commissioner Robert Hopkins in PUD 260, approached Bob Anthony with cash shortly after he was elected to the Corporation Commission in 1988, Anthony told the F.B.I. Then he spent four years working covertly with the F.B.I. 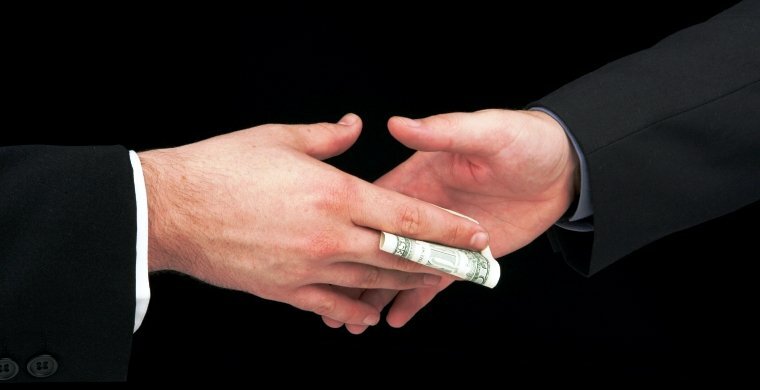 to document and record the bribery and corruption at the agency. When Hopkins and Anderson were finally convicted of bribery in 1994, Anthony was a key witness. Still at the OCC, he has been fighting to overturn the bribed order ever since. In 1995, the F.B.I. nationally honored Anthony with its highest civilian honor, the Louis E. Peters Service Award, given to a citizen "who at great personal sacrifice, has unselfishly served his community and the nation." Read "F.B.I. Presents Anthony with Bureau's Highest Civilian Honor" (Oct. 5, 1995). Read more about the F.B.I. 's Louis E. Peters Memorial Service Award. Retired F.B.I. agent and former special agent-in-charge of the Oklahoma Division, Buck Revell also served as the F.B.I. director’s deputy in charge of criminal investigative, counterterrorism and counterintelligence activities at F.B.I. headquarters in Washington, D.C., during which time he had oversight of the bureau’s investigation of the bribery at the Oklahoma Corporation Commission. Read Buck Revell's Op-Ed "Oklahoma's high court has chance to right a decades-old wrong" (Journal Record, Jun. 2, 2017). A coalition of congregations, nonprofits and schools who speak up on behalf of Oklahoma families. Read VOICE's statement supporting the AT&T Bribery Refund Application. Mike Reynolds has spoken out against the bribery scandal at the OCC for decades. See "Former Legislator Calls for Open Hearing into Old Bribed Rate Case" (Oklahoma Energy Today, Jul. 14, 2017). Thanks to a Freedom of Information request filed by Bill Frankfurt, formerly sealed transcripts from depositions of AT&T attorneys and executives revealing probable knowledge of and participation in the OCC bribery scandal and cover-up, as well as possible perjury, were finally made available to the public. See "Ex-Bell Official Took 5th Ammendment, Papers Show" (The Daily Oklahoman, Jun. 29, 1993). Read the Deposition of David Miller (Vice President, Southwestern Bell Telephone Company). Read the Deposition of William J. Free, Esq. (Senior Vice President and General Counsel, Southwestern Bell Corporation). Read the Deposition of Glen A. Glass, Esq. (Senior Attorney, Southwestern Bell Telephone Company). © 2018 Oklahomans Against Bribery.